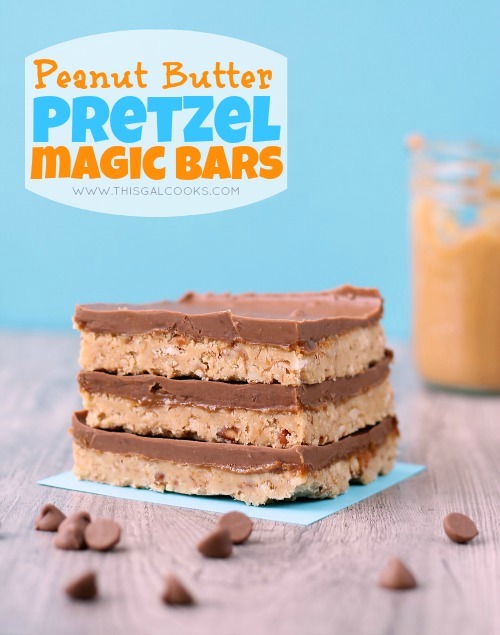 You’re going to love these Peanut Butter Pretzel Magic Bars that I am going to share with you today. Not only are they no bake, but they taste like the BEST candy bar ever, Take 5. Seriously, if you haven’t tried a Take 5 you need to try one like right now! So today is June 3rd. So far, it has rained every day since June 1st and it has been HOT. Now I am not really complaining about the rain. I love the rain. And my plants do too. When I get home from work after it has rained, my plants are always happy. When I get home from work and it hasn’t rained in a few days, my plants aren’t so happy. This results in my having to water them. I like when the rain does my job for me. Anyways, back to it being hot. Did I mention it was HOT? The high’s the past few days have been flirting with 90. With the humidity, it feels well over 90. Goodbye nicely styled hair and clean looking skin, hello frizz, oily skin and sweat! One thing the Summertime does bring that’s pretty fantastic is no bake treats. I know, I know. No bake treats can be made during any time of the year but Summer was made for no bake treats! 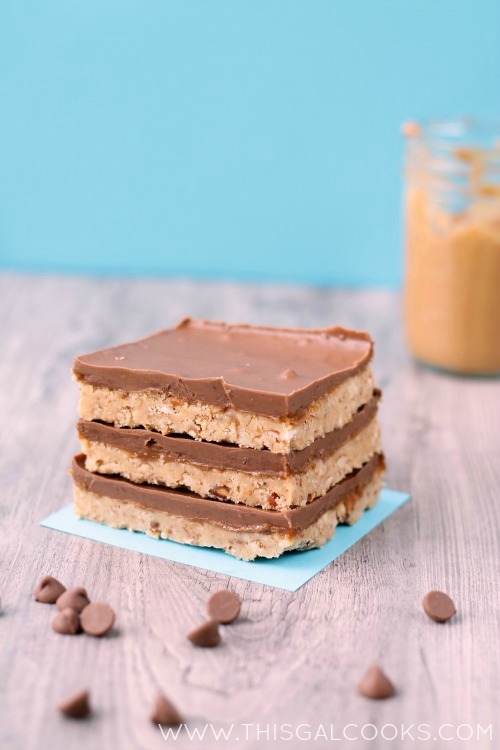 I hope you enjoy this delicious no bake peanut butter bar recipe! In a large bow, mix together the butter, pretzels, confectioners sugar and 1 cup of the peanut butter. Press into a greased 13x9 inch pan. Spread the dulce de leche on top of the pretzel/peanut butter filling. Cover and refrigerate for 5 to 10 minutes or until the dulce de leche slightly firms. Meanwhile, melt the chocolate chips in a bowl in the microwave. Melt in 20 second increments, mixing after each increment to ensure that the bottom of the chocolate chips does not burn. Once all of the chocolate chips are melted, stir in the remaining ½ cup of peanut butter. Spread the mixture on top of the dulce de leche layer. Yum! I have never had or made a magic bar before but I see them all over the Internet. I need to try this! This is the first time I made them as well! They are so easy to make! Mmm these look yummy! Definitely pinning to save for later! Thanks for sharing! Apparently we are setting records for rain, and it’s supposed to rain all this week too! But if it means yummy treats like this I can put up with it! Pretzels and peanut are a perfect combination and I love the no bake part! I totally think the “magic” would be how fast they disappear! 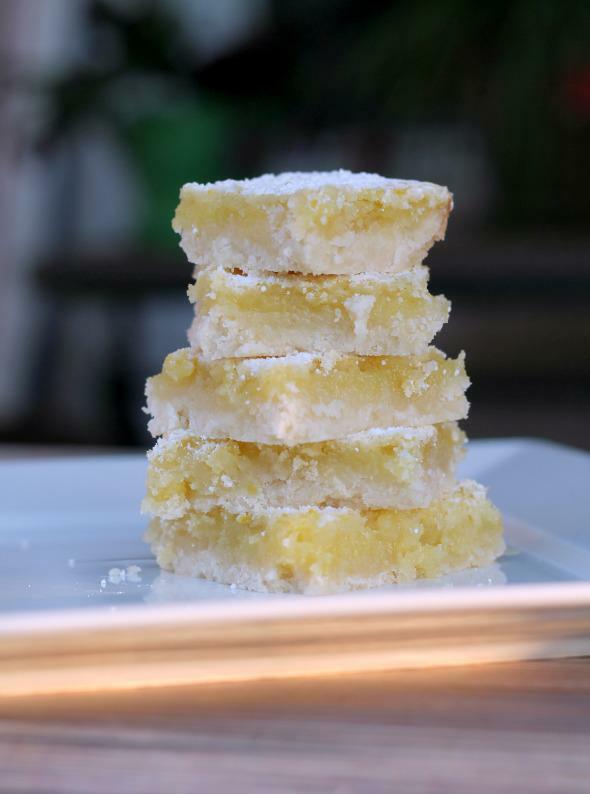 :) Thanks for sharing the recipe, Julie! This would be a nice treat for my co-workers, if I could actually get them OUT of the house. :) Pinning! This looks amazingly delicious! I am also kinda of envious of your rain and 90 degree weather. Call me crazy, but I love when it is that hot out. However it has just been threatening to rain. It was hot for 2 days and now we are back to the 70’s and it looks like it is going to be like this for awhile. These look amazing and I’m sure taste that way too! YOu must know about my peanut butter, pretzel & chocolate addiction. These sound great! 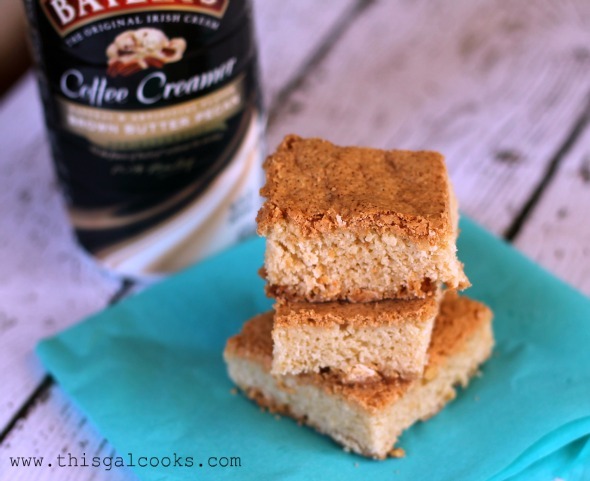 I love that they are no-bake too! Perfect for this time of year! Thanks for sharing! Yummmm! I need to try a dessert with pretzels. I still haven’t jumped on that train. Yummy, yum yum. I love Take 5 bars – these look so good!! LOVE the no bake! And the chocolate & peanut butter!! Me too! These have been a total hit at home and at work! OHHHH…it seems that it is raining yummy bars here! WoW, I’d love to try one from each of them! Recipe looks amazing! Just wondering where I can find dulce de leche, any suggestions? Holy Cow these look good! It would be dangerous for my waistline to have these around my house! LOL, that is why I brought some to work and left them at work! They are dangerous to have around the house! These look so good, perfect for a picnic! Thank you, Rachel! I love dulce de leche! Those look amazing. And dangerous. :) No bake? How can I resist! Pinning this so I can try them! They are so SO good! They were a total hit with everyone who tried them! THank you, Susan! Peanut butter, chocolate and pretzels is the best combination EVER! Oh wow, those look & sound so good! You can’t go wrong with chocolate & peanut butter :D I saw you at The Dedicated House! 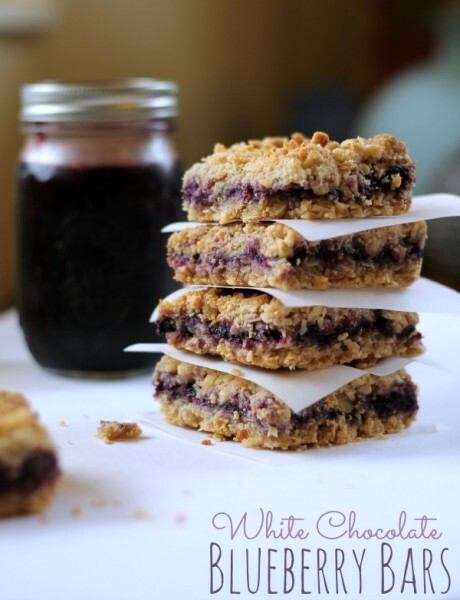 Oh, thank you, thank you for sharing these wonderful bar cookie recipes. I actually prefer a bar to a cookie-love the consistency. 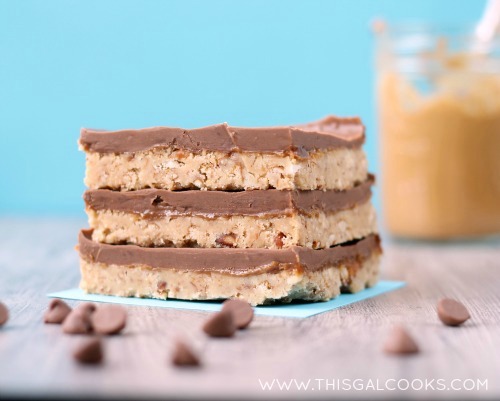 Julie, I love peanut butter and chocolate and no bake makes these perfect for summertime! Thanks for sharing at Thursday’s Treasures, I couldn’t wait to feature these so I just shared them on my FB page! have a great day! These are just made of WIN! Thanks for stopping by!